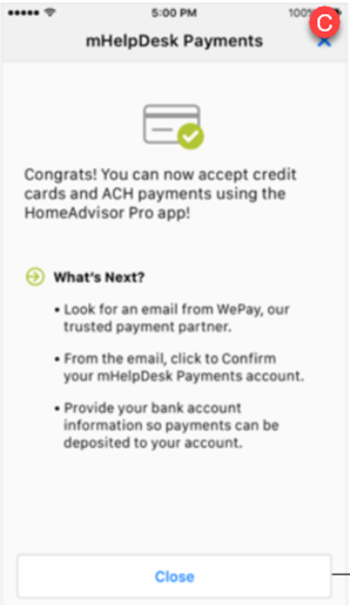 You can also sign up in the HomeAdvisor Pro App by clicking on "Settings" then selecting "Project Tools" and then "Want to get Paid Faster?" 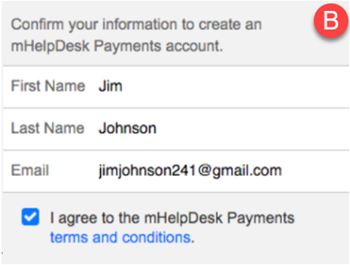 You must then enter your First Name, Last Name, Email address and check the box to agree to the terms and conditions. 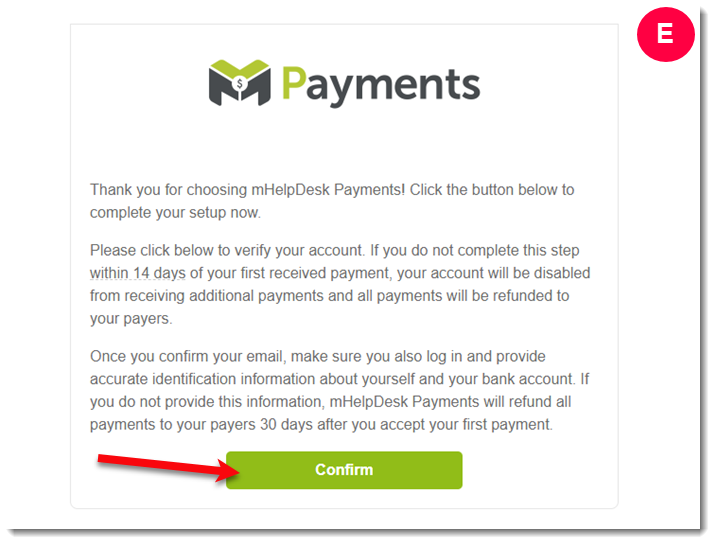 Next, you will receive a confirmation screen that looks like Screenshot C.
From this point forward, it is easiest to complete the steps from a computer. 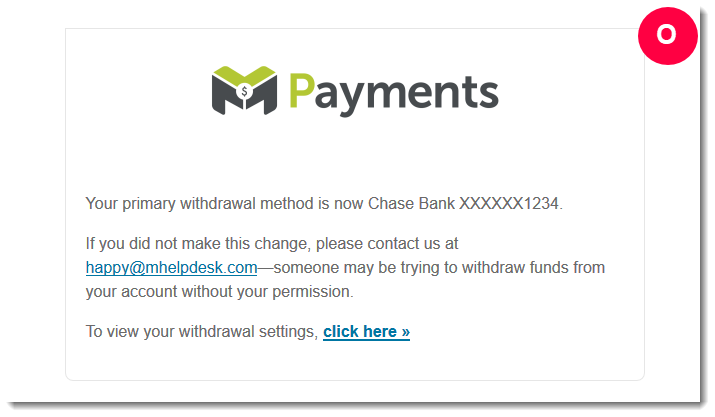 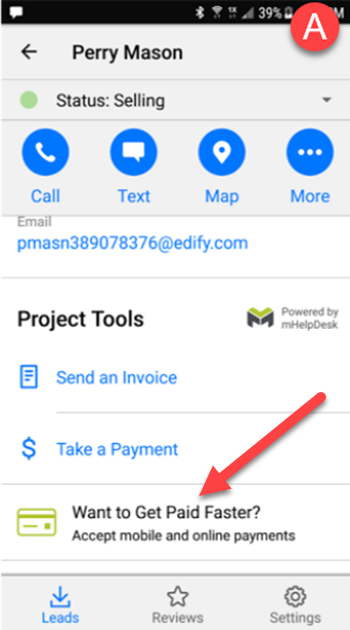 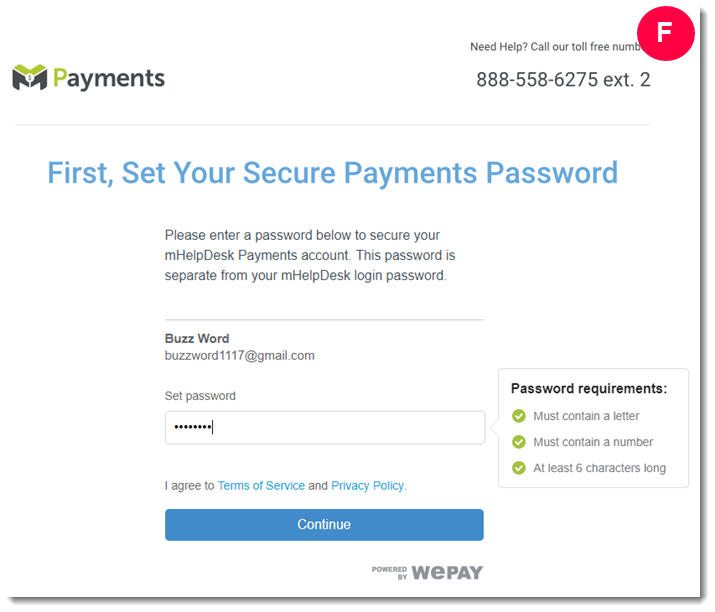 Check the email inbox that you entered under the Payments Account field (in screenshot B).